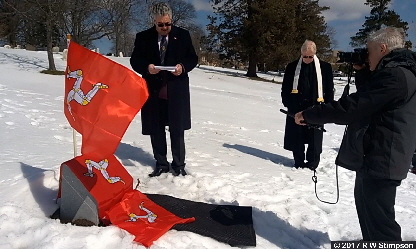 On Sunday March 19th 2017, the 155th anniversary of the death of William Kennish, his final resting place was marked by a Manx Granite memorial stone taken from Dhoon Quarry, less than two miles from his birthplace. 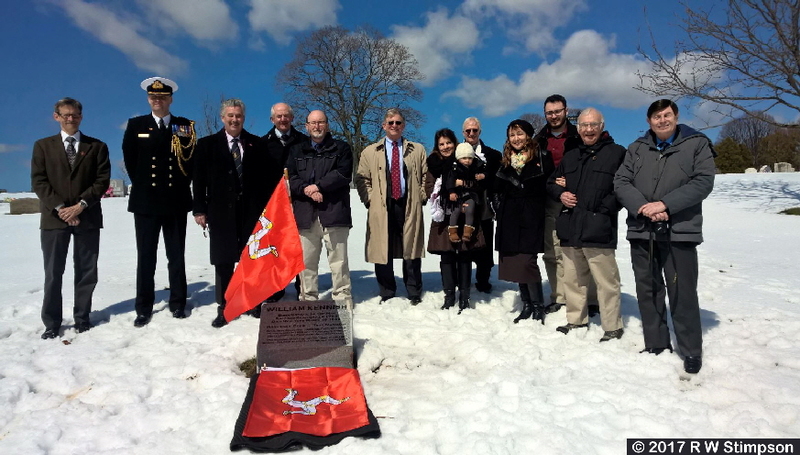 The dedication and memorial ceremony was attended by four modern generations of his descendants from the USA, representatives including one descendant from the Isle of Man together with the Honourable Steve Rodan, President of Tynwald - the Isle of Man Government. The ceremony followed a blizzard which left 12”-18” of snow across Brooklyn and New York on the preceding Tuesday 14th March. By the 19th the snow was melting as the temperature had risen from 22°F to 54°F. 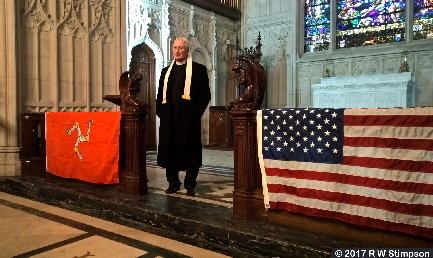 The ceremony started in the Green Wood Cemetery chapel, and concluded at the graveside with the Honourable Steve Rodan providing a Eulogy to William Kennish which was concluded with a blessing from Father Brad Rundlett, an Episcopal Church minister who was a family friend of one of the American Kennish descendants. 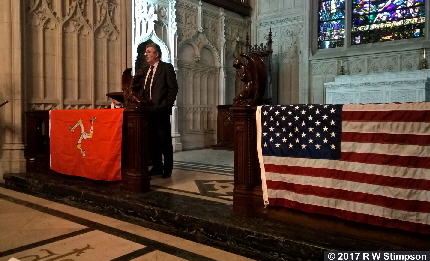 Mr Jim Kneale, President of the North American Manx Association (NAMA). 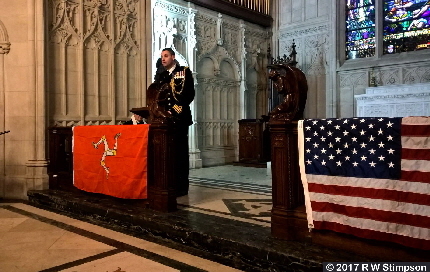 Hon Steve Rodan, President of Tynwald, Isle of Man Government. Mr Roy Moore, Isle of Man, 3rd great nephew and Trustee member of the William Kennish Memorial Trust. 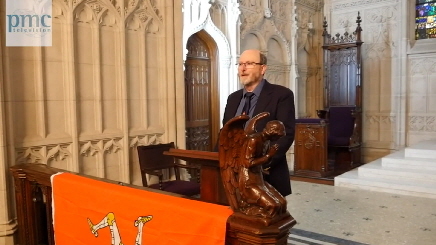 Mr Robert Stimpson, Isle of Man, Author, Chairman of the William Kennish Memorial Trust and ceremony organiser. Mr Dana Kennish Smith, Herodon Virginia USA, 2nd great grandson. Mrs Maria Johnson, Boston, Massachusetts USA, 4th great grand-daughter. Father Brad Rundlett, Virginia USA. Mrs Jennifer Stone Randolph, Hannover New Hampshire, USA, 3rd great grand-daughter. Mr Joshua Ramirez, Boston, Massachusetts USA, 4th great grandson. Mr Irving Stone, New Hampshire USA, 2nd great grandson. 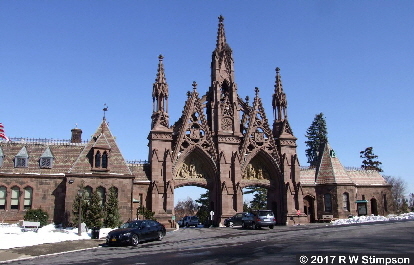 Great thanks are due to the staff of the Green Wood Cemetery, in particular Mr John Usmanov, who facilitated the placement of the memorial stone before the blizzard and ensured the cermony could proceed as planned. 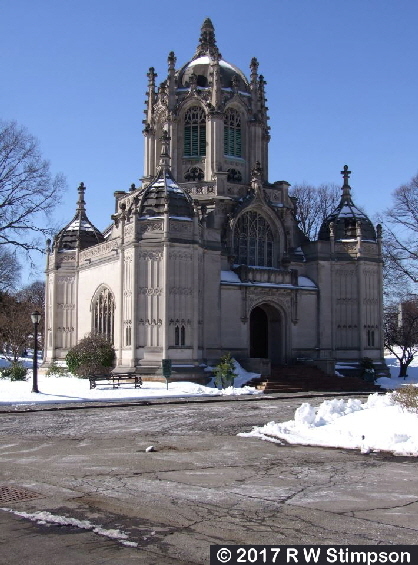 Download a Visit Guide Map Here showing how to find William’s final resting place.